Oftentimes, it helps me appreciate silence. A minute mid-headache break that silences the clicking of the mouse or the tapping of the keys, can turn stagnation into it’s own magical sound. You can hear yourself: arteries pumping, brain thinking. You know you’re still alive. Sometimes, the headaches will force me to take that midday step outside I always say I’ll take but rarely do in good health because I’m “too busy.” I’ll bite into a tart granny smith apple, and the crunch, not the flavor prevails, causing a raucous noise inside my head that, for a second, alleviates the pressure. Next time I eat an apple, I remember to appreciate its taste and texture that much more. Like most things, this certainly doesn’t just apply to headaches. There’s good in all bad (and the reverse, I suppose). A few wrong turns have sent me down sunny, scenic routes untraveled. Big fights have helped me understand my shortcomings. A missed bus on a spring day has made me late but reintroduced me to the sun and the breeze. These are pockets of happiness, pockets of sweetness amid the unpleasant. There is nothing unpleasant about Dorie Greenspan’s Great Grains Muffins. They’re soft and buttery, cute and tippity toppity. 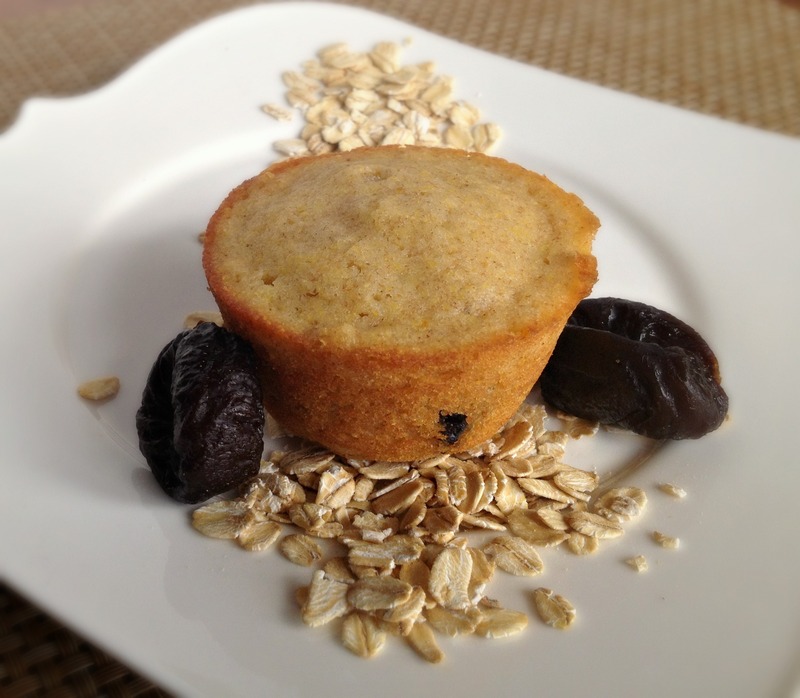 They’re perfect everyday breakfast muffins: they balance white flour with the grit of a little bit of cornmeal, the heft of some oats, and the nuttiness of whole wheat flour. They’re breakfast, not dessert and are mapled and sugared as such. Sure they’re not necessarily lean, but they’re a lovely compromise between a stack of syrupy pancakes and a bowl of unadorned oatmeal. But amongst those healthy grains lie sweet, happy pockets. And they’re from a surprising source. The sticky sweet here is pure, it is natural. It is prunes. Yes, prunes! 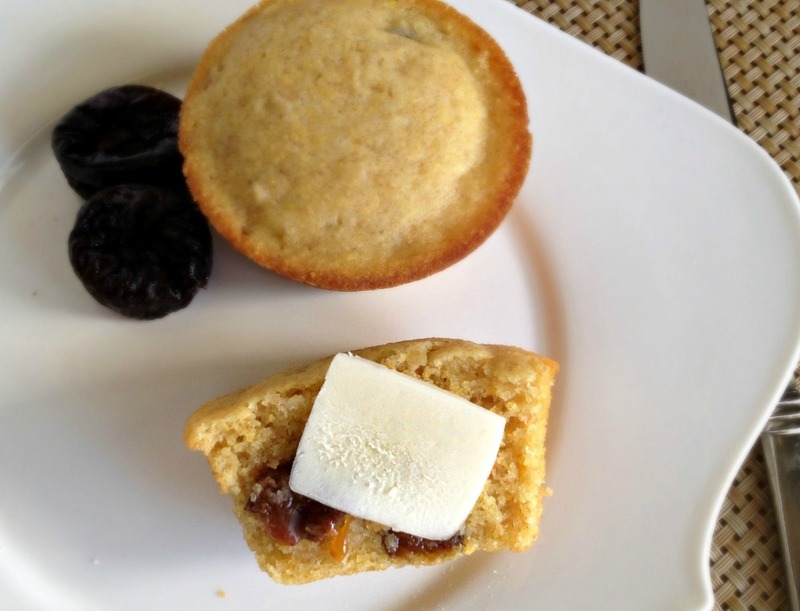 The squish of a plump piece of jammy prune enlivens the little muffin. I’ve actually always liked prunes. As a dried fruit — like raisins, dates, and figs — a prune tastes like candy. I’ve put them in braised dishes, chopped them up for my yogurt, and eaten them out of hand at snacktime. Never have I seen them as off-putting digestive aids (prune juice is another story), and I enjoy their subtle aftertaste. 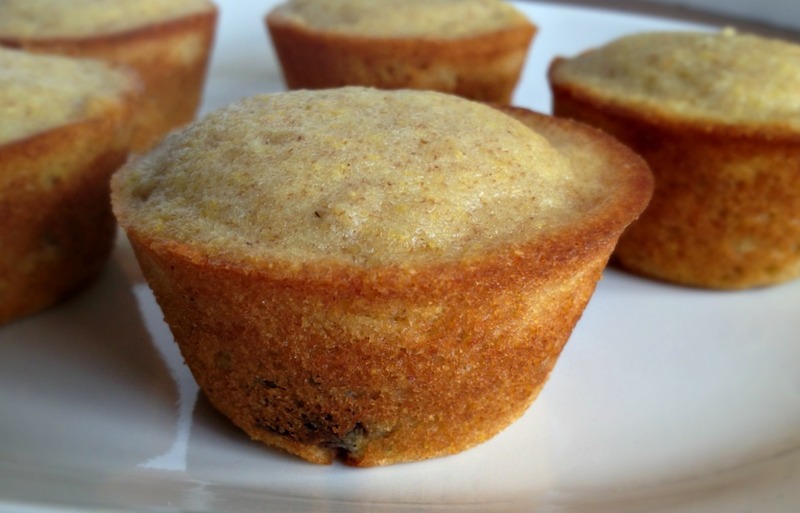 Their appearance in this muffin adds sweetness and texture in a wholesome way. Preheat oven to 400 degrees F. Butter or spray a muffin pan. In a large bowl, whisk together flour, cornmeal, oats, sugar, baking powder, baking soda, and salt. In a separate bowl whisk together the buttermilk, maple syrup, eggs, and butter. Pour over the dry ingredients and fold lightly and quickly to blend. It’s ok if the batter is a little lumpy. Fold in the fruit or nuts if using. Transfer batter to the muffin cups. Bake for 18-20 minutes, or until the tops are lightly golden and a thin knife inserted in the center of the muffins comes out clean. Cool the muffins in the pan on a wire rack for 5 minutes. 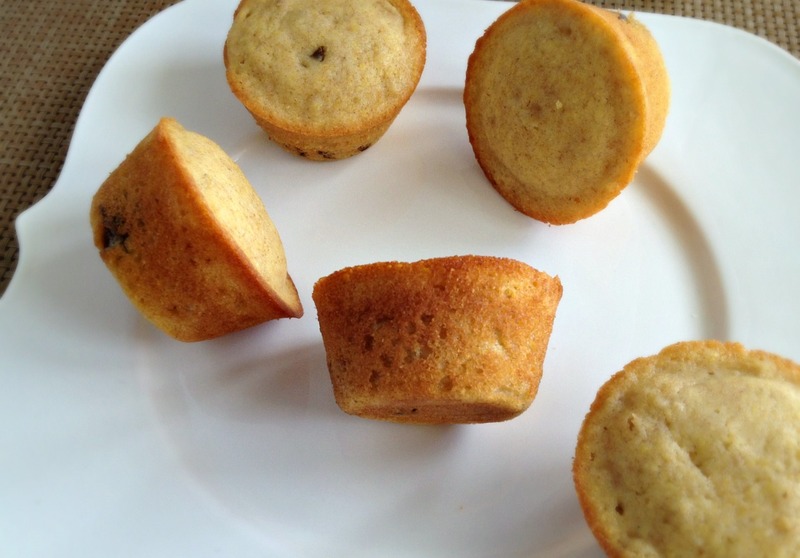 Remove from muffin cups to cool completely. Store the muffins in an airtight container for 1-2 days (although they’re best if toasted after day 1). They’ll keep in the freezer for 2 months. You’re so right, sometimes the bad things in life actually make us appreciate what is important and special, even in the most seemingly simple things. i like how you described the muffins as tippity toppity because that’s just how they look. When I get a migraine (which happens enough for me to take preventative medicine twice daily) I always remind myself that the pain will end at some point. My newest favorite medicine when suffering a headache is Treximet. Even with health insurance it is not a cheap medication, but it’s helped me get back to normal within 20 minutes. A small miracle. What a positive way of thinking about such an awful affliction! These sound delicious. And very interesting read! I’m so sorry about the headaches, but I’m glad you’ve found a silver lining. The muffins look wonderful. So sorry to hear about your headaches, Sacha. But how insightful [and mature!] to find something good and positive, in the suffering. I try to remember about that, but it’s easy to get distracted by the problem. Your muffins look good – so cute!